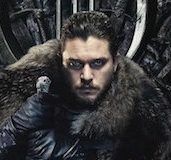 One of the defining factors of television in the Netflix age (that is to say the age of binge watching) is that the art of the episode has been largely forgotten. 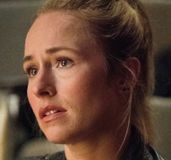 In a drive to create novelistic television, which is seen as being preferable to procedural storytelling (even though neither one works if you don’t have enough story for it), episodes become lost in a race to the end of the season. Not so with The Crown, whose second season is again a perfect balance of episodic plots encased in an over-arching story. 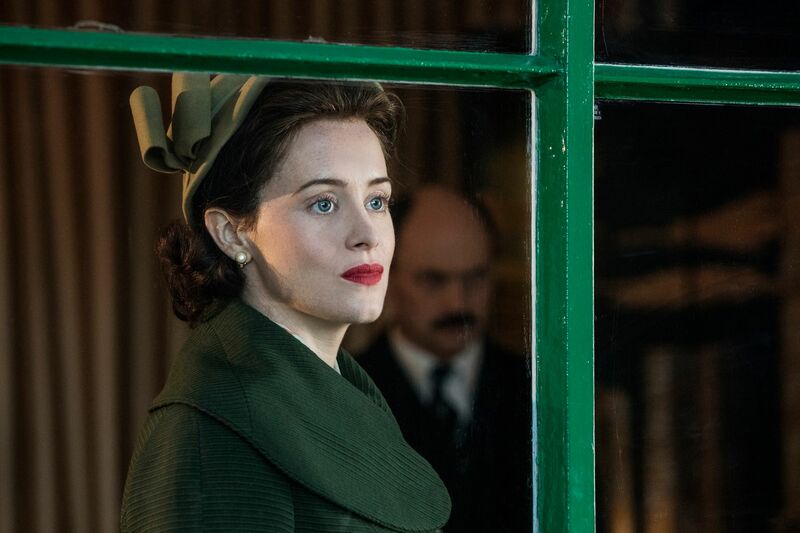 The focus is, of course, on Queen Elizabeth (the exceptional Claire Foy), who wears the crown. But the crown itself, as we were taught throughout Season 1, is bigger than any one person. 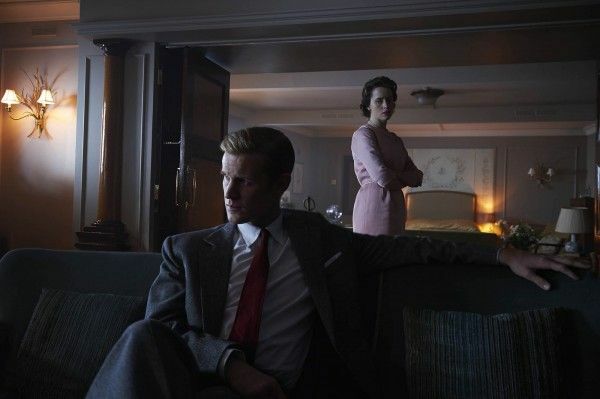 Set in the 1950s, Season 2 delves into issues as big as the Suez Canal crisis and as comparatively small (yet dramatically large) as the ever-shifting relationship dynamics between Elizabeth and Prince Philip (Matt Smith). Each episode provides another angle of consideration for the monarchy, which is at a more certain place as the determined Elizabeth is growing up and in full command of her position and the weight it holds. There is something missing with the loss of Winston Churchill, an indomitable figure in the first season (brilliantly portrayed by John Lithgow), but its fitting that Elizabeth no longer needs her mentor of sorts. Instead, her meetings with the new Prime Minister (and the next) have an entirely different feeling to them. In fact, on more than one occasion, Elizabeth staidly roasts them to let them know that she knows what they’re up to. Foy is again superb as Elizabeth, imbuing the unknowable Queen with a rich inner life that is often conveyed through the slightest flicker of the eyes or change of expression. The Elizabeth of Season 2 is practical and confident, but she is not rigid. A fascinating episode focusing on one Lord Altrincham shows how important it was for the monarchy to modernize after World War II — Altrincham became an essential advocate for that, though controversial for his comments about the Queen in the press. There’s a fantastic scene where Elizabeth considers his suggestions and balks at most of them outright. But eventually, almost all of them were implemented, to the benefit of the crown. The Queen is no fool. 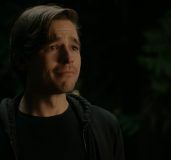 Other character-specific episodes include Philip’s world tour of toxic masculinity, a check-in with Alex Jennings’ abdicated Duke of Windsor (which ends with scathing allegations against his character), as well as Princess Margaret (Vanessa Kirby) and her desire for an unconventional life with her beau and future husband Lord Snowden (Matthew Goode). Throughout all of these tales there is a comfort and connective fabric provided by “the mustaches,” as Philip calls them — Tommy Lascelles (Pip Torrens), Michael Adeane (Will Keen), and the mustache-less Martin Charteris (Harry Hadden-Paton) — who represent both the old and the new, but are always working to keep Buckingham Palace running smoothly (and are a perfect example of the show’s outstanding cast from top to bottom). The Crown’s second season is, like Elizabeth, more sure of itself this time around, and it again provides a luscious period backdrop for its royal tales (written in full once more by Peter Morgan), as well as a sumptuous aesthetic regarding its costuming and setting. It thrives on visual and tonal juxtapositions, but there’s an emotional energy even in expected comparisons, like Margaret’s wild motorcycle ride with her hipster photographer boyfriend compared to Elizabeth’s affairs of states and going to bed in a room separate from her husband. Yet where it really shines is in the quietest moments, such as its brief nod to Elizabeth’s fondness for the Evangelical preacher Billy Graham, and an examination of her Christian faith regarding forgiveness. Through the first seven episodes (before I forced myself to break away and write this review), The Crown races through time while still finding the margins to zero-in on the most minute but beautiful — or sad, or angry, or telling, or mystifying — moments for its characters. Like its first season, each new episode makes its mark and tells its own complete story, all while staying linked to Elizabeth’s journey as a monarch, mother, and wife. It’s another exceptionally strong season of television, full of compelling drama and sweeping grandeur. In an episode late in Season 2, Elizabeth tells Margaret that the pomp of royal life has never mattered to her as much as it has to her sister. “The palaces, the privileges, the deference; it’s always meant more to you than me. What I wanted to do was give it all up. Disappear. Become invisible.” Margaret cooly replies, “In that case your achievement is even more remarkable. You’ve managed to disappear and become invisible while wearing the crown.” But that is, for us, false. We are with her in those quiet places, and see her — and those around her — fully. In The Crown, Elizabeth is a shining star. The Crown Season 2 premieres December 8th on Netflix.